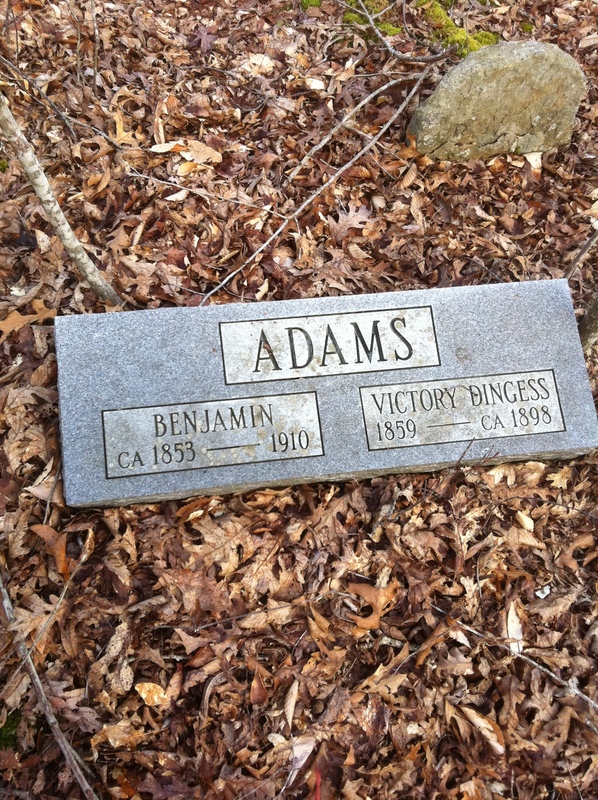 Anthony Adams, Jr. (1880-1955), son of Benjamin and Victoria (Dingess) Adams. Ant was a child during the Lincoln County Feud. This image was made about 1917. That winter, Brandon made contact by telephone with John Dingess, a Connecticut resident who proved to be one of our best sources on the 1889 feud. John was born on the Smokehouse Fork of Harts Creek in 1918. A grandson to Henderson Dingess, he moved away from West Virginia after serving his country in World War II. John said Henderson Dingess met his wife Sallie while boarding with her father Joseph Adams on Harts Creek. Henderson didn’t care much for his in-laws (he said they were “hoggish”), particularly his brother-in-law Ben Adams. Ben lived over the mountain from Henderson on main Harts Creek where he operated a small store. He and Henderson feuded “for years.” At some point, Henderson’s oldest son Charlie Dingess got into a racket with Ben over a yoke of cattle and “almost killed him in a fight” at Cole Branch. The feud between Henderson’s family and Ben Adams reached a new level of tension when Ben refused to pay the sixteen-cents-per-log fee required by Al Brumfield to pass logs through his boom at the mouth of Harts Creek. Brumfield “was more of a businessman” than a feudist but “got into it” with Adams at his saloon near the boom. In the scrape, Ben pulled out his pistol and shot Al, who was spared from harm only because of a button on his clothes. Al subsequently fetched a gun and chased Ben up the creek — a very humiliating thing as there was probably a whole gang of people to witness his flight. Ben soon gathered up a party of men with plans to force his timber out of Harts Creek under the cover of darkness. Before he could put his plan into action, though, the Dingesses caught wind of it and warned the Brumfields who promptly armed themselves with .38 Winchesters and .44 Winchesters and gathered in ambush on the hill at Panther Branch near the mouth of Harts. This was particularly horrible since she was probably pregnant at the time. The next day, she came to her uncle Henderson’s to show him what his boys had done to her dress but he never punished them. John was sure of Ben’s role in the events of 1889. “Ben Adams, my father’s uncle, he gave them a .38 Winchester apiece and a side of bacon to kill Al Brumfield,” he said. Milt and Green caught Al one Sunday as he made his way back down Harts Creek after visiting with Henderson Dingess. He rode alone, while Hollena rode with her younger brother, Dave Dingess. As they neared Thompson Branch, Milt and Green fired down the hill at them from their position at the “Hot Rock.” Al was shot in the elbow, which knocked him from his horse and broke his arm, while Hollena was shot in the face. Al somehow managed to make it over a mountain back to Henderson Dingess’, while Hollena was left to crawl half a mile down to Chapman Dingess’ at Thompson Branch for help. Upon learning of the ambush, Harvey Dingess (John’s father) hitched up a sled to one of his father’s yokes of cattle and fetched Hollena, who remained at Henderson’s until she recovered. Immediately after the shootings, there was a lot of gossip about who’d been behind the whole affair. John said there was some talk that Long John Adams had been involved “but the Dingess and Brumfield people never believed it.” Everyone seemed to focus in on Milt and Green, who’d recently disappeared into Kentucky (where McCoy was from). After his return to West Virginia, Johnny Hager took immediate notice of the large number of musicians who lived in the head of Big Harts Creek. His first cousin, Jefferson “Jig-Toe” Baisden (1879-1970), was a dancer and banjo-picker. J. E. “Ed” Belcher (1889-1970), who played several instruments, and Robert Martin, an Arthur Smith-style fiddler, were other significant musicians in the area. Ed Haley (1885-1951), a blind fiddler from Trace Fork, particularly caught Hager’s attention. Johnny’s desire to absorb Haley’s music was understandable because, as Jess Chambers stated, “It was a badge of honor to have played with Ed Haley.” Jeff Baisden, a cousin to both men, may have introduced the pair. Johnny could supposedly play any instrument and his trip out to Kansas allowed him to soak up a variety of western tunes and playing styles which were completely new to folks in Logan County. Both of these qualities, his diverse musical capabilities and his unique musical background, ensured that he an Ed Haley had many intense music sessions. According to Turley Adams, Johnny’s great-nephew, Hager encouraged Ed to take his show on the road and volunteered to serve as Haley’s “eyes” on such trips. This willingness to travel, coupled with his apparent competence as a musician, made Johnny a perfect sidekick to Ed. Haley and Hager were both unmarried, a convenience which allowed them to roam the country with few cares or responsibilities. Most agree that Johnny’s travels with Ed Haley ended around 1914 when Haley married Ella Trumbo, a blind music instructor from Morehead in Rowan County, Kentucky. Haley’s habit of cursing and drinking also helped end the partnership. Hager did not care for it. For the most part, Johnny spent the remainder of his life playing music while boarding with his Baisden kinfolk on the North Fork of Big Creek. Irene Hager, a daughter of Hubert E. and Mary (Pauley) Baisden, remembered Johnny playing music on her father’s front porch in the late 1920s. Her father, a banjo-picker, lived at Greenview and the Big Branch of Spruce River in Boone County. Hubert Baisden was Johnny’s first cousin. Hager boarded with him for several weeks at a time. One of Hager’s chores at the Baisden home was to keep wood in the stove. Irene said that Johnny often talked about his early travels with Ed Haley. Johnny Hager was a man with little roots and family, a fellow who never had a real home. Many from Harts Creek remember that Hager was simply from the “the North Fork of Big Creek.” Dave Brumfield, a great-nephew, said that Hager stayed in that vicinity with a Thomas family. No doubt, this Thomas family was headed by Sampson Thomas who married Dicy Adams, a sister-in-law to Johnny’s sister Victoria Adams. Incidentally, just over the mountain from North Fork was the Broad Branch of Big Ugly Creek where lived a fiddler named Jefferson “Jeff” Duty (born about 1877). During Hager’s stay on the North Fork, he probably visited this musician (and any others in this locality) to learn a few new licks. Lydia Johson described Johnny as “a very neat man” and Dolly Bell agreed, stating that he always kept his hair cut and his face shaved. He never wore suits and never dated women so far as any of his family knew. In Irene Hager’s words, he “was a pretty straight fellow” and Dave Brumfield said he never drank when visiting his father’s home on Harts Creek. In the early 1900s, two musicians traveled as a pair throughout West Virginia and spread the influence of their musical talents to fiddlers and banjo-pickers in countless towns and hamlets. One of these men was Ed Haley, a Logan County native, who took up the fiddle after being blinded by his father as a child. 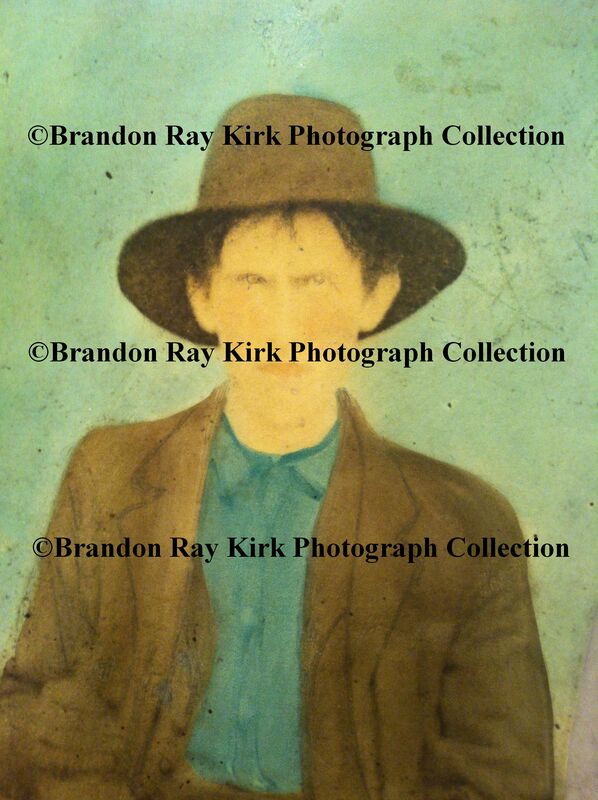 The other was Little Johnny Hager who, although born in Logan County, spent a great deal of his life in Boone County. John Washington Hager was born on December 8, 1876 to Joseph and Lucinda (Baisden) Hager, Sr. on Big Creek in Logan County, West Virginia, near the Boone County line. Johnny was the youngest sibling to Victoria Hager (1869-1942) and Aaron Hager (c.1872-c.1884). During his childhood, his parents moved from their home at the North Fork of Big Creek in Logan County to the Big Ugly Creek area. His family appeared in the 1880 Lincoln County Census. Subsequent years were difficult: Aaron Hager, Johnny’s older brother, died at the age of twelve years old. Victoria Hager married George Washington “Ticky George” Adams and moved to Big Harts Creek in Logan County. Finally, Johnny’s parents divorced due to his father’s infidelity with a local woman named Armilda Adkins. Joseph Hager soon married his mistress and fathered four more children: Edward Hager (1887), Joseph Hager, Jr. (1888-1940), Eliza Hager (1891), and Olivia Hager. Joe Hager lived in the vicinity of the old Mud Post Office near the Lincoln-Boone county line. Remarkably, Johnny moved to Kansas with his mother, where he spent many years among Hager relatives. Just how long Johnny lived in Kansas has not been determined despite interviews with his close relatives. There is some indication that he and his mother lived in other Western states like Missouri prior to finally settling in Kansas. All the versions regarding Johnny’s stay in Kansas are given below because any one of them might be true. His niece Roxie (Adams) Mullins told that Johnny lived out West for six months. Johnny’s half-niece Dolly (Hager) Bell thought he came home from Kansas when he was twenty years old (circa 1896) or when he was aged in his twenties (circa 1896-1906). Hager’s half-great nephew Jess Chambers said that he had been told that Johnny lived in Kansas for twenty years, meaning that he would have returned to West Virginia around 1905. In the personal opinion of this author, accounts placing Johnny out West for several years seem at this time the most likely scenario simply because Johnny cannot be accounted for in the 1900 West Virginia Census. Instead, he shows up as a farm laborer in the home of a cousin, William Hager, aged 26, in Battle Hill Township, McPherson County, Kansas. Kansas would have offered a West Virginia boy like Johnny Hager many new adventures. One can be sure that he spent a great portion of his time there working on the farm since he later described plowing fields into mile-long rows. According to family stories, he also chauffeured female cousins into town on wagon rides. Dolly Bell suggested that Hager probably learned to play the banjo while in Kansas and Jess Chambers said of Hager, “He played all his life.” Johnny was self-taught and played the old clawhammer style on the banjo. According to tradition, Johnny’s mother died during their stay in Kansas. Roxie Mullins stated that Lucinda Hager was buried on the banks of the Wabash River, located along the borders between Illinois and Indiana. Another source said that she died in Missouri. Johnny always cried when he spoke of his mother and said that had lost “everything” when she died. Some time after 1900, perhaps about 1905, Johnny returned to West Virginia. Although his father Joseph was still alive, Johnny never forgave him for divorcing his mother and refused to associate with him. He also refused to recognize Joseph’s children by his second wife. A story is told how Joe Hager, Johnny’s half-brother, rode to see him at John Baisden’s home on Sanders Branch. He was excited to meet the brother he had never known. When he came into the yard and yelled for him, Johnny wouldn’t even come outside. In Johnny’s eyes, his sister Victoria Adams was all that remained of his family and he spent a great deal of time boarding at her Harts Creek residence in Logan County. During Johnny’s stay out West, Victoria had give birth to several children in a family which would grow to include Maggie “Mag” Adams (1888-1959), John C. “Johnny” Adams (1891-1965), Anna Adams (1901-1982), Geronimo Adams (c.1903), Roxie Adams (1905-1993) and Lola Adams (1911). It is likely that Johnny spun great stories for the Adams children about his experiences in Kansas. Roxie Mullins remembered him as being “funnier than a monkey,” Jess Chambers said he was a jolly fellow, and Dolly Bell remembered that he loved to joke and laugh. Dave Brumfield, a great-nephew, said that he pranked with the Brumfield children when he visited his parents’ home on the Smoke House Fork of Big Harts Creek in Logan County. Connie suggested we go see her neighbor Turley Adams, who lived just down the creek near the mouth of a branch. She pointed toward a man working in his yard a few hundred yards away at his one-story white home. That’s Turley? We took off right away. As we approached the place, Lawrence mentioned that Turley lived at the same approximate location of Milt Haley’s old cabin. While the cabin was long gone, I noticed the front yard still had the same beautiful roll to it I had seen in an old picture at Lawrence’s house. I tried to imagine how the cabin would have looked in Ed Haley’s day. Turley’s wife Violet said there was an old cemetery just back of their house, although it had been in terrible condition for many years. Oh god. I could just imagine someone finding a Milt Haley tombstone (probably no more than a rock with “MH” carved on it) lying at the foot of the hill and just tossing it in the creek. We walked outside briefly to survey the site. Was this little embankment with a sunken spot the final resting place of Ed Haley’s parents? Back inside, Turley said he remembered Ed, which seemed to please Lawrence somewhat. He told this story about a local girl who danced to Ed’s music. I had never really considered the possibility that Ed’s cousins and neighbors played jokes on him. I saw him as this great musician — an elevated status that may not have been shared by many of his contemporaries. All of a sudden, I was flooded with images of this little blind orphan — alone in the world — victimized mercilessly throughout his childhood. How did he take it? And how would Lawrence react to hearing these kind of stories? In quick time, I had this latter question answered. Lawrence immediately countered Violet’s story about the outhouse with a tale that cast his father in a more triumphant light. Lawrence was obviously determined to guard his father’s legacy, which was a perfectly legitimate thing to do. Violet got out a few albums filled with old photographs of Ed’s kinfolk from up and down the creek, which stirred Lawrence’s memories. “Seemed to me like we walked down here to Trace to go up the hill there and there was a store down there,” he said. Lawrence’s mind was starting to click in high gear. “I heard Pop talk about how he’d ride a horse up the hollow going up through there,” he said. Lawrence asked Turley if he knew anything about a George Adams. Turley said his grandfather was named George Washington Adams but he went by the nickname of “Ticky George” to distinguish him from a cousin, “Greasy George.” Ticky George spent most of his life in the woods hunting for ginseng where he apparently acquired a great number of ticks. Turley said his grandmother Adams was a sister to Ed’s friend, Johnny Hager. “Well, there’s how Johnny Hager came into this,” Lawrence said. Turley didn’t know much about his genealogy but said his aunt Roxie Mullins could tell us the “whole history” of the Hagers. “She lives around there above Louie on Harts Creek there,” he said. Louie Mullins was a grandson to Uncle Peter, making him a third cousin to Lawrence (at least by our count). This was sort of a confusing moment. Names of people I’d never heard of were popping into the conversation and converging upon one another in seemingly irrelevant connections. There was an unmatchable poetry in it: Turley, Yellow Leg Spaulding, Ticky George… I mean nobody could make this kind of stuff up.